Affiliated Managers Group, the investment firm that Sean Healey led as its chief executive until May, is contributing $20 million in matching funds to Mass. General Hospital to fight ALS. 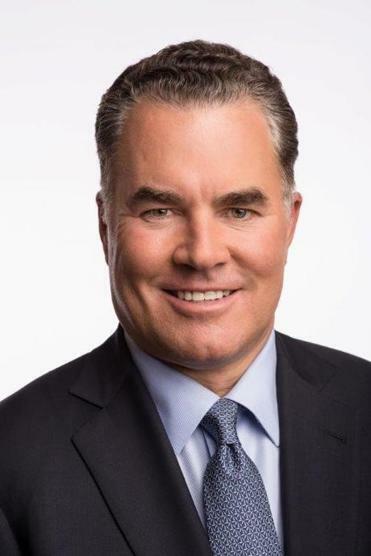 Affiliated Managers Group, the investment firm that Healey led until May as its chief executive, is contributing $20 million in matching funds. Healey, 57, said he plans to give at least $5 million directly, and his friends and colleagues as well as AMG affiliates have so far committed more than $15 million. He expects nearly another $10 million in pledges by the end of the year. The Healey Center will be led by Dr. Merit Cudkowicz, a renowned ALS researcher and neurology department chairwoman at Mass. General. Cudkowicz said the funds will be primarily divided into two purposes. Roughly half will go to an endowment to help support scientists’ research, and to attract talented neurologists and other specialists into the ALS field. The other half, she said, will be used to help pay for early-stage trials, allowing drug companies to piggyback on each other in those trials and accelerate the process. It can be hard to attract funds from investors or major pharmaceutical companies until these treatments show signs of being effective, in part because ALS — formally called amyotrophic lateral sclerosis — is considered a rare disease. Cudkowicz said the ALS-fighting team at Mass. General already includes more than 100 people, and is working directly with at least 500 families. The Healey Center may bring another 10 people or so onto the team in the near future. But much of the money will be distributed for research in other cities. Healey’s personal battle with ALS began in January, when he started noticing slight changes in his speech. But the disease is tough to diagnose — other possible conditions need to be considered first. It wasn’t until May that Healey was diagnosed with ALS. He quickly confronted grim statistics: The typical life expectancy for the roughly 35,000 US patients who have the disease is three to five years after diagnosis. Healey wanted a second opinion and asked around for the best in the field. Cudkowicz’s name kept coming up. Healey quickly reached out to Cudkowicz, and she offered him hope. She said Healey pledged to figure out a way to help others dealing with the disease. By the end of May, AMG announced Healey’s diagnosis. He stepped down as chief executive, and his top lieutenant, Nathaniel Dalton, took over. Healey is considered one of the cofounders of the company and helped build it into a global money management powerhouse while it was based in Beverly. Healey moved the company’s headquarters to West Palm Beach, Fla., nearly four years ago. But about 150 people still work in Beverly, and it remains home to the company’s largest office. Healey said he returned to the Boston area for treatments at Mass. General and to help launch the Healey Center. The former husband of Babson College president Kerry Healey, he has recently remarried. His wife gave birth to a baby girl in September. Patrick Ryan, AMG’s lead independent director, said board members have been discussing for several months how to best contribute to the cause. Healey’s diagnosis has been devastating for his colleagues. “Maybe someday our greatest legacy will be the money we raise for ALS and the impact it has,” Ryan said. Stephen Winthrop, chairman of the ALS Association’s board, said the size of the Healey Center donation could help “change the trajectory of the disease.” As one point of comparison, he noted that in 2014 the “Ice Bucket Challenge” brought in more than $200 million worldwide to fight the disease. Winthrop, a Wayland resident who was diagnosed with the disease five years ago, said many companies today are close to making significant discoveries that could eventually yield novel treatments. It’s possible researchers, with this newfound funding, will develop treatments that can help Healey. But he’s not counting on it. He’s more focused on the broader impact — to spare other families from going through what he is facing. Travis Andersen of the Globe staff contributed to this report. Jon Chesto can be reached at jon.chesto@globe.com.